You are browsing the archive for Grizelda. A new documentary is being planned about anarchic TV icon Frank Sidebottom (aka Chris Sievey). In the guise of Frank, Sievey contributed strips to Oink! in the late 1980s. Director Steve Sullivan says the film “will cover Chris and Frank’s whole career, including focusing on his work as a comic creator and illustrator.” Sullivan has turned to crowd-funding to kick-start the project, and raised over £11,000 from Frank fans in his first day of fundraising. Read more about the project here. The documentary is not to be confused with this fictionalised take on the Sidebottom legend, which will star Michael Fassbender. Procartoonists.org member Ralph Steadman was sadly too unwell to attend the private view of his Steadman @ 77 retrospective at the Cartoon Museum in London this week. But the exhibition has already been receiving good press, including this piece from the Camden New Journal. The paper also reports on the theft of a Steadman original from a nearby pub following the private view. Bloomberg Businessweek looks at the new British legislation that may change the way images are used on the internet, particularly when it comes to orphan works. Every cartoonist – or user of online materials – should brush up on this. For more on copyright law, and advice on how to protect your work online, look back at our previous posts on the subject here and here. The Brighton Festival begins this weekend, and Harry Venning isn’t the only cartoonist opening up his studio to the public. PCOer Guy Venables and Private Eye/Independent cartoonist Grizelda will also be inviting visitors into their workspaces. Find out more about the festival here. The Spectator also has coverage of the Artists Open Houses. For those who like lists, Buzzfeed has produced this handy run-down of historic cartoons that changed the world. And finally, some encouraging signs from the next generation: Dutch teenagers have been clamouring for political cartoons in 7Days, a weekly newspaper for young people in the Netherlands. The editorial team have listened, and topical cartoons are now appearing courtesy of Cartoon Movement. 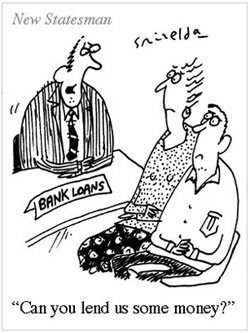 Bloghorn is launching a new regular feature today: Cartoon Pick of the Week. This does exactly what it says on the metaphorical tin. We shall be highlighting what the folk at the PCO think are the top three drawings and jokes we’ve seen during each working week. If you have a submission you think we should have seen – but have missed – pop a URL link in the comments underneath this post. The list won’t be exhaustive or even always comprised of just our members, but it will be funny. So, Bloghorn hopes you enjoy our list for the week ending 1st August 2008.